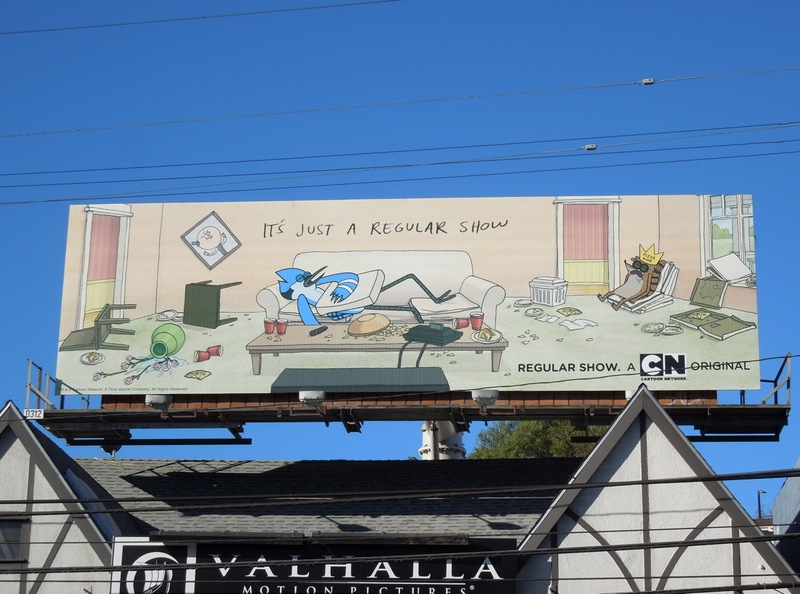 Cartoon Network have taken a leaf out of The Hub's book, to come up with a quirky and arresting visual for the fourth season of its hit cartoon series, Regular Show. 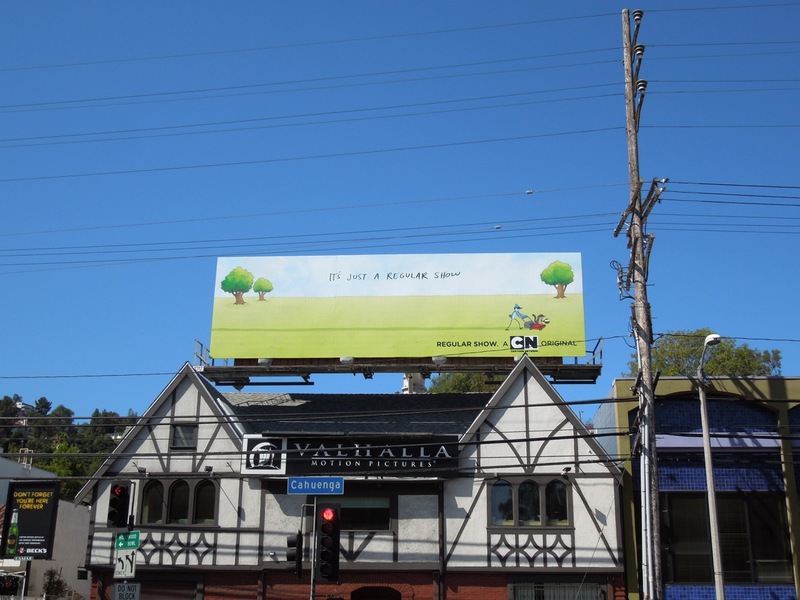 23-year old best friends 'Mordecai' the blue jay and 'Rigby' the raccoon do whatever they can to slack off from their day jobs as groundkeepers, which usually results in a series of bizarre and surreal misadventures. 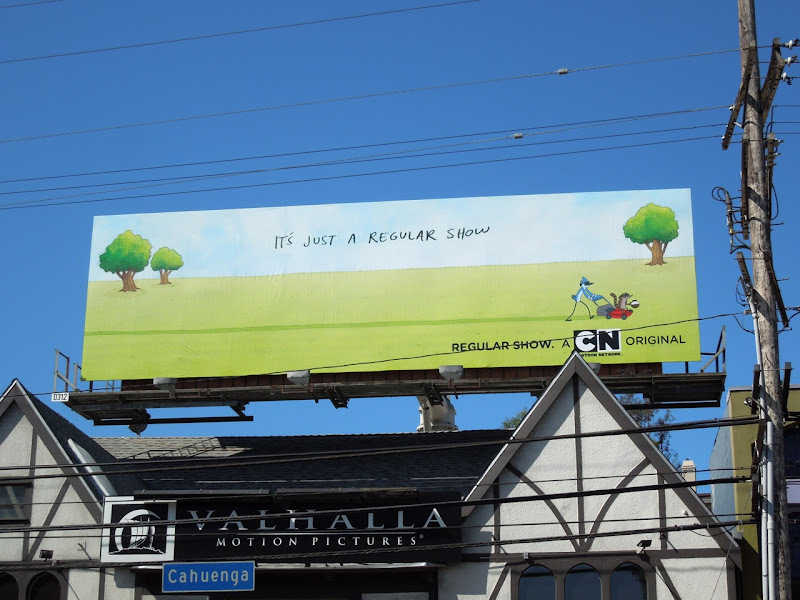 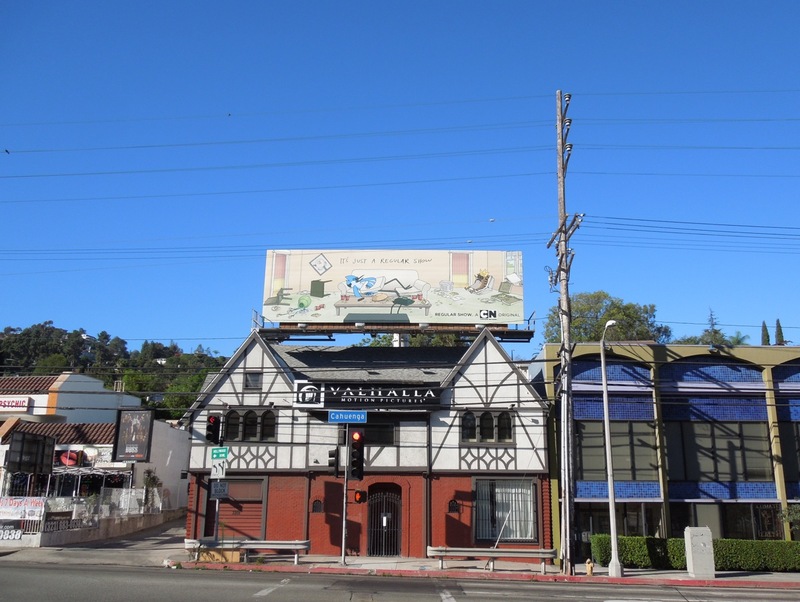 Daily Billboard suspects the animated series is anything but a 'regular show', but this cool billboard snapped at the bottom of Barham Boulevard at Cahuenga Boulevard on July 20, 2012 makes you chuckle with its simplicity. 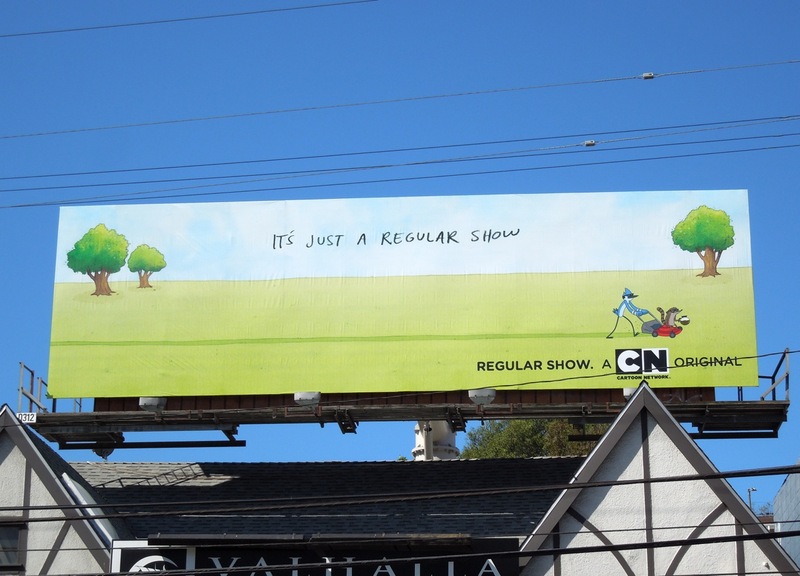 UPDATED: If you liked the the first creative then you'll love this equally laid-back billboard for Regular Show. 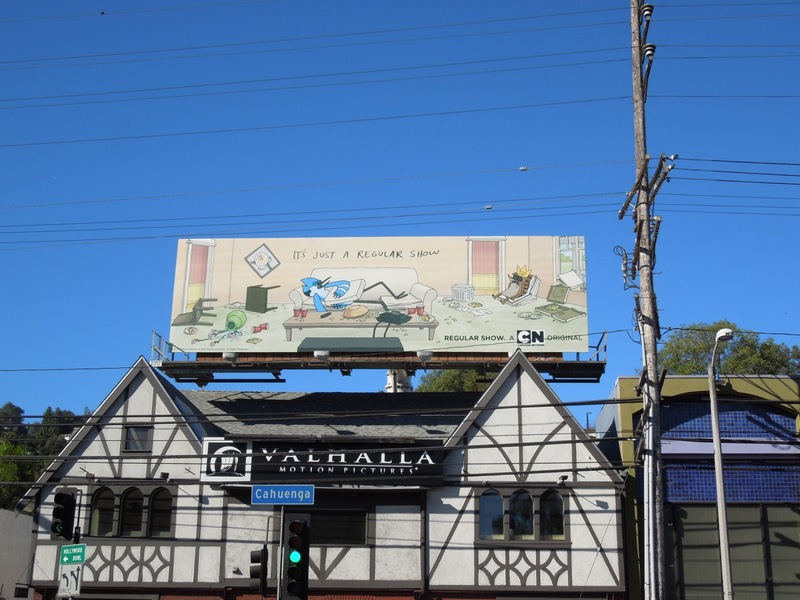 Mordecai and Rigby look like they've been partying hard in this new Cartoon Network billboard snapped in the same location on September 1, 2012.